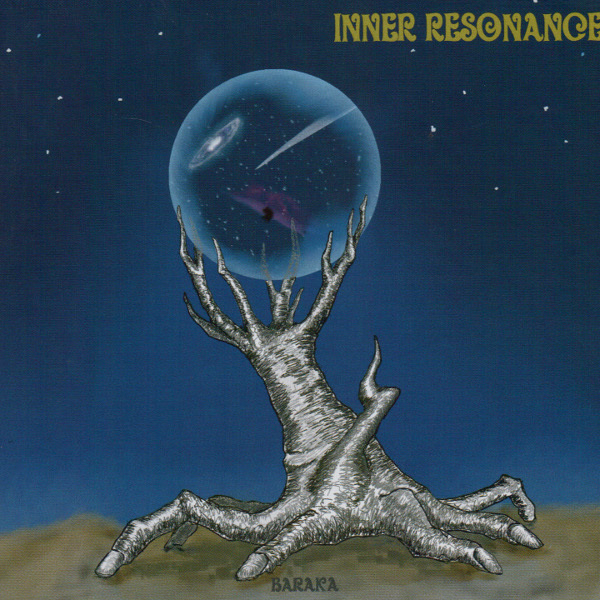 Baraka was a 1992 non-narrative film similar in scope to Koyaanisqatsi, and if this Japanese trio did indeed name itself after that film, the widescreen range of instrumental colors on their ninth album has the effect of a camera panning through a world of landscapes. Issei Takami is the star of the show, crowding the high end with bright, open guitar chords on “Palm Trees of the Maldives,” slippery, jazzy leads recalling Jeff Beck, Steve Hillage, and Allan Holdsworth on “Seam of the Globe,” and floating guitar synth environments on “The Chair Made of Guns.” As lead producer, Takami shines a special spotlight on drummer Max Hiraishi, whose sound is bright and present in the tricky timing of “Reflected Waves,” a central presence on the echoey steadiness of “Yggdrasil,” and the engine that pulls “Chair” out of the ethers and into a full-on minor-keyed march with an increasingly frantic martial beat. Bassist Shin Ichikawa anchors the rhythm section every which way from the heroic prog and space boogie of the opening “Palm Trees” to the closing jazz metal of “The Definition.” Along the way, Baraka waltzes us through “Plunge from the Darkness,” serves us sweetly mellow cocktail fusion on “Atlantic,” and brings us from abstraction to revelation in the many-colored “Gate to Principle.” There’s a lot about this album that’s familiar, and a lot more that’s fresh. And while a few vocals would be a nice touch here and there, verbal narrative isn’t really necessary at this level of musicianship.